Prince Fielder's baseball career came to an early end Wednesday due to a neck injury that will prevent him from playing again. But he's still going to collect more paychecks going forward than most ballplayers see in their careers -- worth about $106 million. The money due Fielder dwarfs anything that has been owed to a former player. Mets pitcher Johan Santana, who collected $37.3 million after an injury ended his career in 2012, had previously held the record. 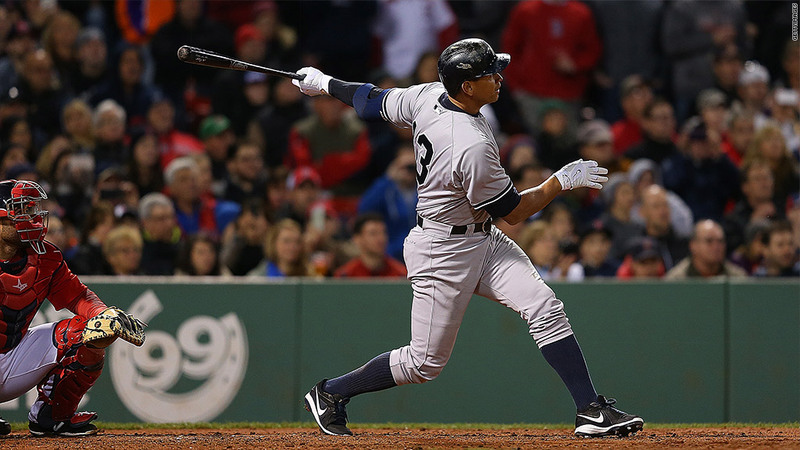 Alex Rodriguez, who will play the final game for the Yankees on Friday and then be released, will collect a relatively modest $26.6 million from the Yankees after his days in pinstripes end. Fielder, who signed a $214 million, nine-year deal with Detroit Tigers before the 2012 season, played what turned out to be his last game on July 18. He's owed about $10 million from that point through the end of this season, and then $24 million a year for each of the next four season. The Tigers, who traded him to the Texas Rangers after the first two years of the deal, are still responsible for $6 million of his annual salary, with the Rangers paying the rest. Insurance will cover some of that cost, but Fielder will get the full amount signed because unlike the NFL, Major League Baseball contracts are guaranteed. By itself be the 40th largest contract in a league with 750 active players. Be more than twice as much as the $47 million that his father, Cecil Fielder, who was himself an All Star, earned during the course of his career. Be more than the total team payroll for six of the teams in the league this season. This has been a record year for teams having to eat big contracts after a player's career ends early. Besides A-Rod and Fielder, the Los Angeles Dodgers cut outfielder Carl Crawford with him owed $33.6 million through the end of next season. And the checks to ex-players may not be over. Mets third baseman David Wright, who is suffering from the same neck problem as Fielder, hasn't been able to play since May 27, and his future is also in doubt. If he doesn't return he'll be paid about $81 million after his final game.